DAVID LE/Staff photo. 5/6/15. 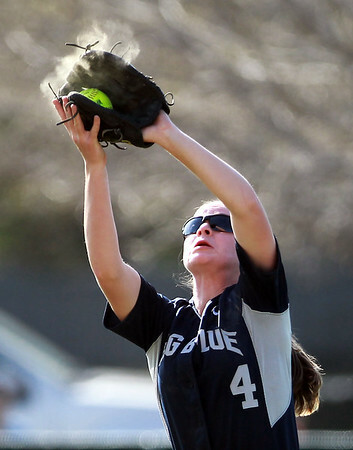 A puff of dust flies out of the glove of Swampscott shortstop Hannah Leahy as she catches a short popup.